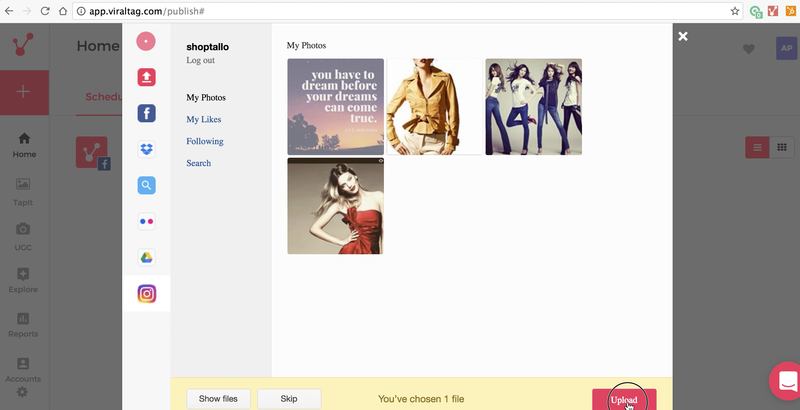 You can also upload images straight from your Instagram account. You can view the video demo or refer to the detailed steps below to upload from Instagram. 1. Click on "+" from the panel at the left of the screen or click on "Create a Post"
2. This will open a window allowing you to choose which source of photos. Click on the Instagram icon on the left of the window. 3. 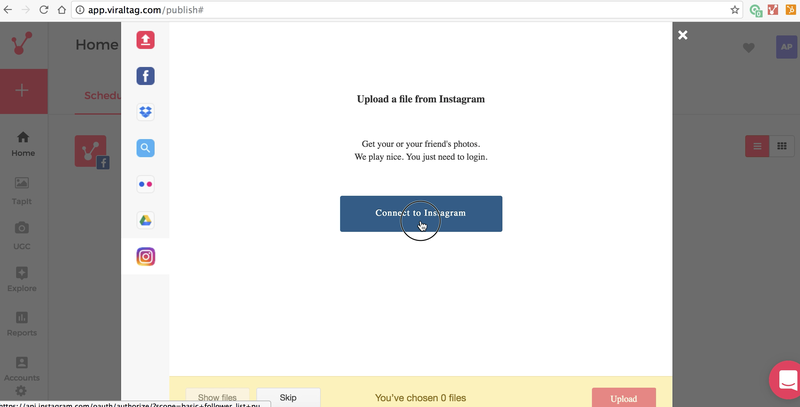 You will be prompted to connect your Instagram account. Click on "Connect to Instagram." 4. 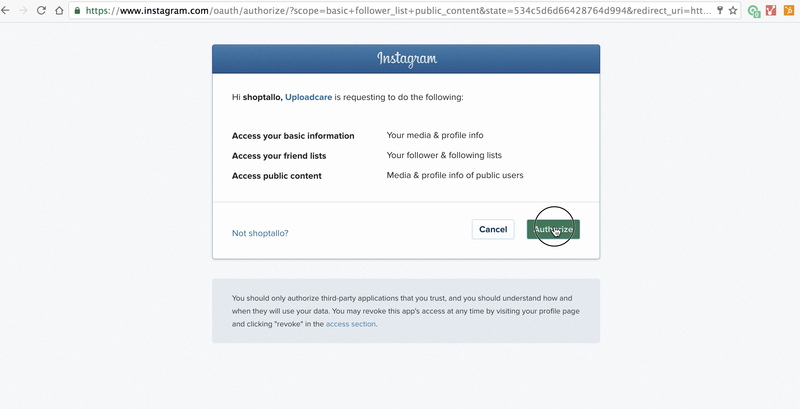 A new tab/window will open asking for Instagram login credentials. 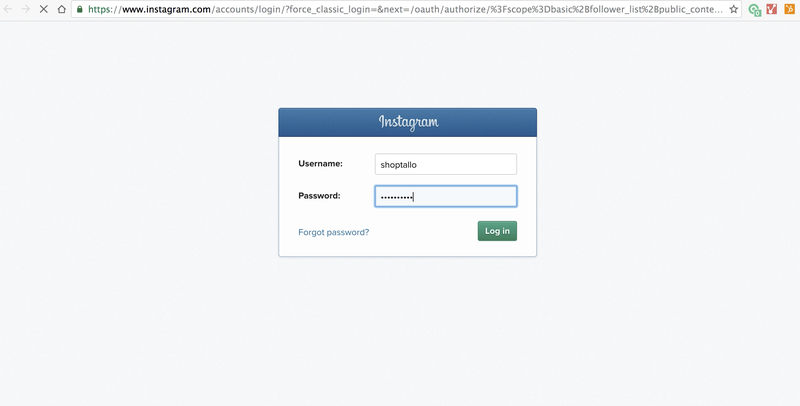 Enter the Instagram username and password and click on "Log in". 5. Following this, a pop-up requesting authorization for Viraltag to access your basic information, friend lists and public content shows up. Click on 'Authorize' to grant Viraltag permission. 6. 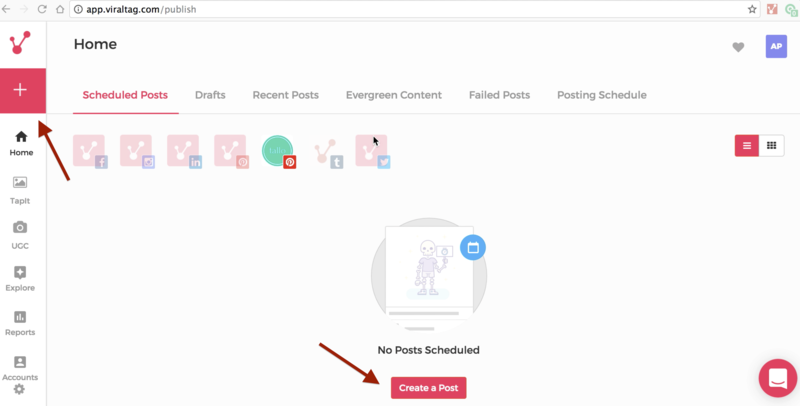 You will now be redirected back to your Viraltag dashboard and will be able to see all the photos on your Instagram account. 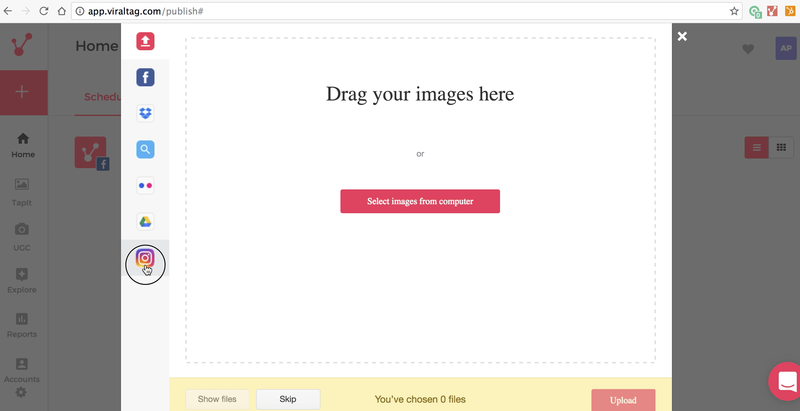 You can now choose images from your photos, images that you have liked, images from people you are following and you can search for images on Instagram. 7. 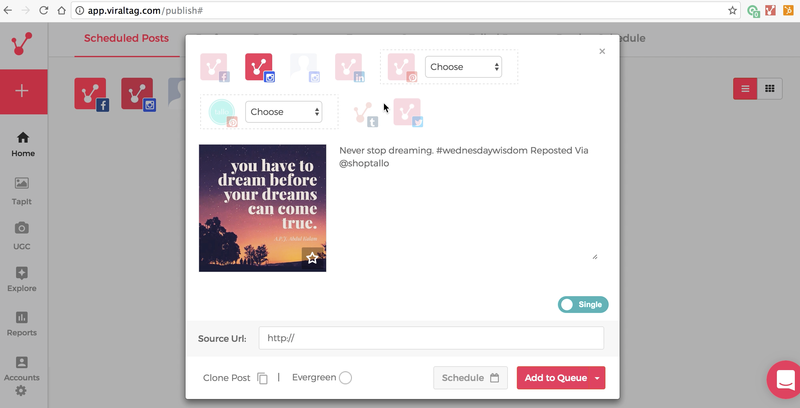 This way you can regram content from Instagram, and can schedule your image as you normally would. If you would like more details on how to proceed from here, click here.